Partial results indicate that Egypt’s former army chief has captured at least 85% of the votes, and maybe even more. Partial results indicate that Egypt’s former army chief, Abdel Fattah Al-Sisi, is headed for a big victory. According to Reuters, Sisi's campaign said Wednesday night that the popular candidate had captured 93.4 percent of the votes with 2,000 polling stations counted. Judicial sources said he had 89 percent with 3,000 polling stations counted. Sisi’s only rival, Hamdeen Sabahi, was on 2.9 percent according to the Sisi campaign, while the judicial sources put Sabahi on 5 percent. The rest of the ballots were deemed void. The partial results came 90 minutes after polls closed after three days of voting. Turnout was 44.4 percent of Egypt's 54 million voters, according to the judicial sources quoted by Reuters. 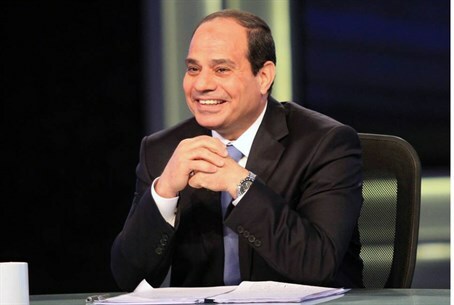 The results are hardly unexpected, as Sisi was expected to win the election with an overwhelming majority. Sisi gained favor among Egyptians after he ousted Muslim Brotherhood President Mohammed Morsi last July. The two-day vote was originally due to conclude on Tuesday but was extended until Wednesday evening to encourage greater turnout. Fireworks erupted in Cairo when Sisi's results began to emerge. His supporters waved Egyptian flags and sounded car horns on the crowded streets of the capital, reported Reuters. The Muslim Brotherhood has rejected the poll, describing it as an extension of the army takeover. The group, loyal to Morsi, was outlawed by the military as a terrorist group and saw around 1,000 members killed in a security crackdown. Hundreds of Islamists have been placed on trial and some have been sentenced en masse to death since Morsi’s ouster. Sisi has declared that the Muslim Brotherhood was "finished" in Egypt and would not return if he is elected.